This June, the Journal of the National Comprehensive Cancer Network published the dramatic growth and integration of palliative care services at St. Jude Children’s Research Hospital in Memphis. CAPC interviewed program lead Dr. Justin Baker to understand how he and his team embedded services and changed culture across the organization to ensure that all St. Jude patients have access to palliative care. Justin Baker, MD, Associate Member, St. Jude Faculty, Chief, Division of Quality of Life and Palliative Care, Attending Physician, Quality of Life Service, Director, Hematology/Oncology Fellowship Program. CAPC: When you came to St. Jude in 2007, what was the culture like around palliative care? 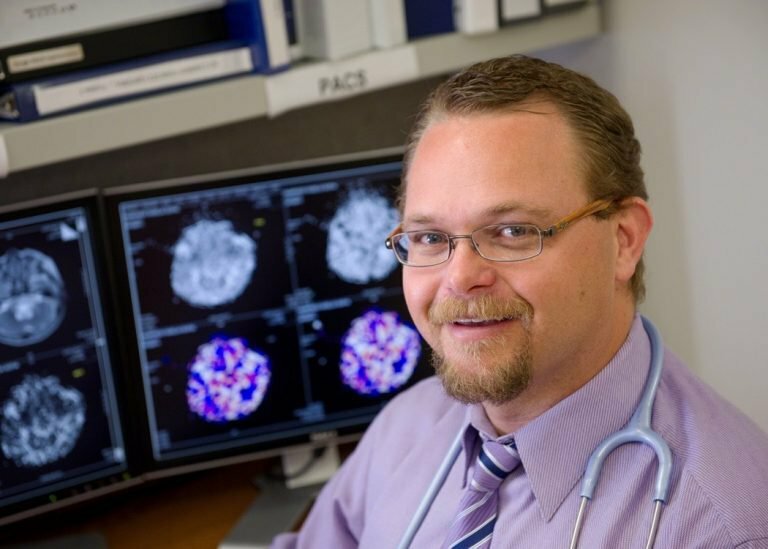 Dr. Baker: At St. Jude’s Children’s Research Hospital in 2007 we really were – and still are today – very cutting-edge in our approach toward new treatments of cancer and hematological and other really catastrophic illnesses. The cultural pendulum swung more on the cutting edge clinical research side, which included pursuing every type of life-prolonging approach and cure related to oncology. But today I can also say we are also cutting-edge with our integration of quality of life and palliative care parameters. We have woven ourselves into the fabric of the institution over this last decade. CAPC: I like that framework – you commonly hear the term cutting-edge applied to new technology and to procedures, but not to quality of life issues. When you did launch palliative care at St. Jude, it was framed as a pilot, is that correct? Dr. Baker: We started as a pilot in the solid tumor outpatient clinic. We chose that in part because some of the greatest champions on our initial Palliative and End of Life Care Task Force were attending physicians in the solid tumor area. We found many patients that were incredibly complex to care for and as we got engaged in issues related to decision-making, there was a little bit of trouble because at St. Jude those conversations really needed to happen through the primary oncology team. We figured out that if we go too involved in that arena it didn’t work very well. So we supported communication and decision-making, but the palliative care team’s core services were symptom control and helping to coordinate with the local hospices and home health organizations throughout the United States on behalf of patients who couldn’t always stay here in Memphis. We immediately put ourselves on 24/7 call to these other institutions, because that was a really helpful piece to ensure quality. Improving care coordination was a really great bridge that improved things overnight for St. Jude. CAPC: Were there barriers you encountered when you started the new service? Dr. Baker: The biggest mistake was thinking the program can be all things to all people right from the beginning. Teams need to avoid the tendency to say “Hey, I’m open” instead of planning strategically. Instead I say, partner up with somebody who already really likes me and likes the services that I’m talking about. Look for low-hanging fruit and build on little successes first. This is why we started the pilot program where we did, and we realized that even in the pilot program we made mistakes. We needed to go back and do continuous PDSA quality improvement cycles. My advice to others would be to see the people that could be considered potential champions of palliative care, and start by getting involved that way. We did that for an entire year before we opened up hospital-wide. CAPC: Was collaboration with the primary team tricky at first? Dr. Baker: When we first came on board – and this plays out in the numbers in the article – we were viewed by others as an end-of-life care team. That was an okay place to start. In the context of pediatric oncology, if you are exclusively consult-based, it will be an uphill battle to become relevant earlier in process rather than at the point of incurable disease. As we broadened our teams’ capabilities, specifically partnering with Methodist Alliance Home Health and Hospice as well as LeBonheur Children’s Hospital in the creation of our home-based care program, which is extensive, unique, and truly remarkable – then more and more people were getting us involved earlier and earlier. The home-based program is built on the backbone of our local hospice here in Memphis. 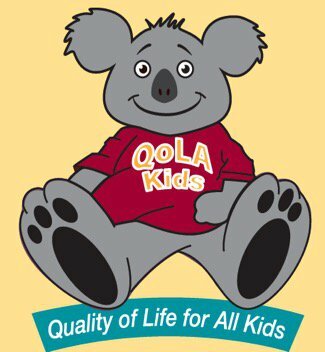 We call it the QoLA Kids program which stands for Quality of Life for All Kids. Our logo has a really cute koala bear! CAPC: What got you to the place where colleagues would say “Yes, let’s get the palliative care team involved”? Dr. Baker: I think that points to culture shift, but it also points to us being strategic. A lot of how we were able to shift things at St. Jude was because people wanted access to our home-based care team – and the only way you can have access to that team is if you consult our service. I also happen to be the hematology oncology fellowship director here. Since our fellows are brought up in a culture where I’m leading the fellowship program and leading the palliative care program, they are getting more and more comfortable with a paradigm or earlier palliative care. All of that is clearly culture change, but I think it’s a little bit different than the kind of the nebulous statement of the shifting degrees of culture you typically hear about. We have been very strategic in our approach. CAPC: So it was strategically staged growth and development of relationships that led to culture change at St. Jude? Dr. Baker: Yes, exactly right. There are still a few physicians that would prefer not to have [palliative care] overly involved, which is fine. But in 2010, we instituted a trigger-based process which was approved by our medical executive committee. Regardless of the doctor’s thoughts about palliative care, at certain key points for very ill patients, based on an interdisciplinary care team meeting and a review of patient metrics for high-quality end of life care, we’ll automatically trigger the involvement of the palliative care team. For those patients we then bring in our bereavement coordinator and psychologist, and begin our process of assuring that the patient receives quality end-of-life care. CAPC: The JNCCN article references extensive education you did at St Jude. Can you give some examples of those education efforts? Dr. Baker: I think what is very important to recognize is that palliative care needs to permeate every aspect of what we do. If we are only thinking about the palliative care team that’s a huge mistake, because we’ve got to improve everybody’s ability to deliver primary level palliative care. If I had to pick the intervention that made the biggest difference, it would be helping the nurses and allied healthcare staff to know that they are a key primary palliative care point of contact, and that if they need help, they can just call us. This has really helped to move things to a place where we are getting involved sooner and sooner in the illness trajectory of our patients, as you see in the published results. Right from the beginning we gave seminar after seminar around St. Jude. A critical step in this process was to approach our nursing administration and leadership and say, “We believe strongly that all of our inpatient and outpatient nurses need to be better equipped with palliative care skill sets to take great care of these kiddos.” They agreed. We now put every single nurse in the institution through the equivalent of 25 credit hours of palliative care training. That’s done through ELNEC and an institutional palliative care seminar that we created and co-teach with a group of bereaved parents. These parents join us as faculty members – not only are they there to share their story, but they have gone through extensive training in order to help us teach our nurses. Right now we have 18 of these trained bereaved parents. I regularly sit with families who say “Dr. Baker, I have no idea how I’m going to deal with this, I really don’t know what I’m going to do.” And I can say, “I’m glad that you asked that question, because we do have an additional resource. Would it be helpful for you to speak with one of our trained bereavement parent mentors?” The majority of people say yes, and together with the mentors, they create a cycle of healing. Then, if the mentors see a red flag, like the newly bereaved parent feels like they can’t go into work, or they are just overwhelmed emotionally and psychologically, the mentor can immediately call in support from a trained psychologist, who will follow up to make sure the family is doing okay. CAPC: Tell us a little about how the home-based program started. Dr. Baker: The home-based program came out of the recognition that we were really not providing very good hospice support in our community for pediatric patients. Methodist Alliance was always a very willing partner, but there were not specific pediatric resources or training. After we put a specific pediatric nurse in place in 2012, the program literally exploded. The starting census of the QoLA Kids home-based program was 8, and last week we were up to 46. Families want access to this team to do things like home labs to do home monitoring instead of bringing kids into the clinic. We’re taking the clinic to them. Our home-based program has two arms. The palliative care arm and hospice arm both are basically administered in the exact same way. We start the relationship with a patient who is not yet hospice-eligible but has a very high level of disease on the palliative care arm of the program. If the disease were to come back and they become hospice-eligible, we provide their home-based care with the exact same team but now under a different billing mechanism. CAPC: Do you have any advice for the program lead out there reading this blog post? Dr. Baker: A huge issue is people thinking that because they have a consult-based team, appropriate palliative care consults will follow. That’s not a good way to look at things, because if you are going to be consult-based, you are never going to own when you get involved with patients. Someone else has to ask you to get involved. I think you really have to think through the layers of integration and contemplate. “Yes I have a consult team, but for this patient population, I’m going to get involved no matter what happens.” Talk to administrators and to hospital leadership about which patient population the palliative care team should target, and then partner with that group to determine triggers or points of early integration where the palliative care team should step in. Finally I would say, find a carrot. For each institution the carrot is going to be different. Find what you can do that the institution can’t live without. For us, the creation of this really awesome partnership and home-based team has been the biggest carrot. We started it and now all of the sudden we are meeting patients earlier because of this tremendous home-based effort. I think that carrot is going to look different for every institution, but it’s critical. 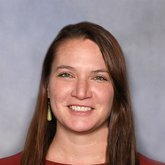 For support developing your pediatric palliative care program, consult the Designing a Pediatric Palliative Care Program toolkit or register for Virtual Office Hours with Dr. Sarah Friebert of Akron Children’s Hospital.